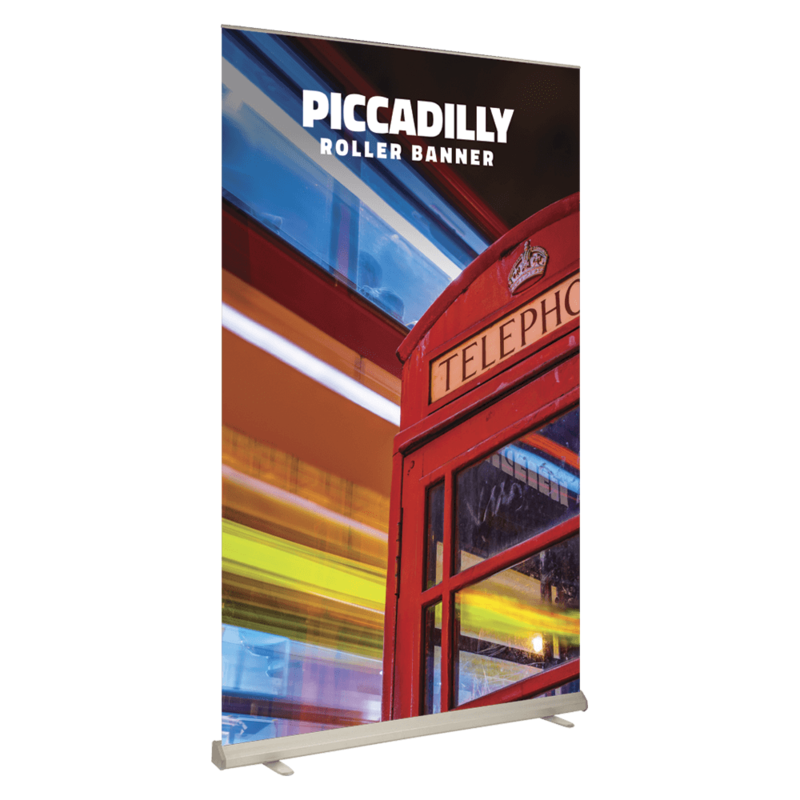 Generous proportions and state-of-the-art graphic printing are hallmarks of the Piccadilly Roller Banner. Bring this roller banner to trade shows, conventions, or other events to promote your business or special incentive. Project Design Print is pleased to offer this premium-quality banner that's featured on SoFlat, a product revered for its anti-scuff, anti-glare, and anti-curl properties. 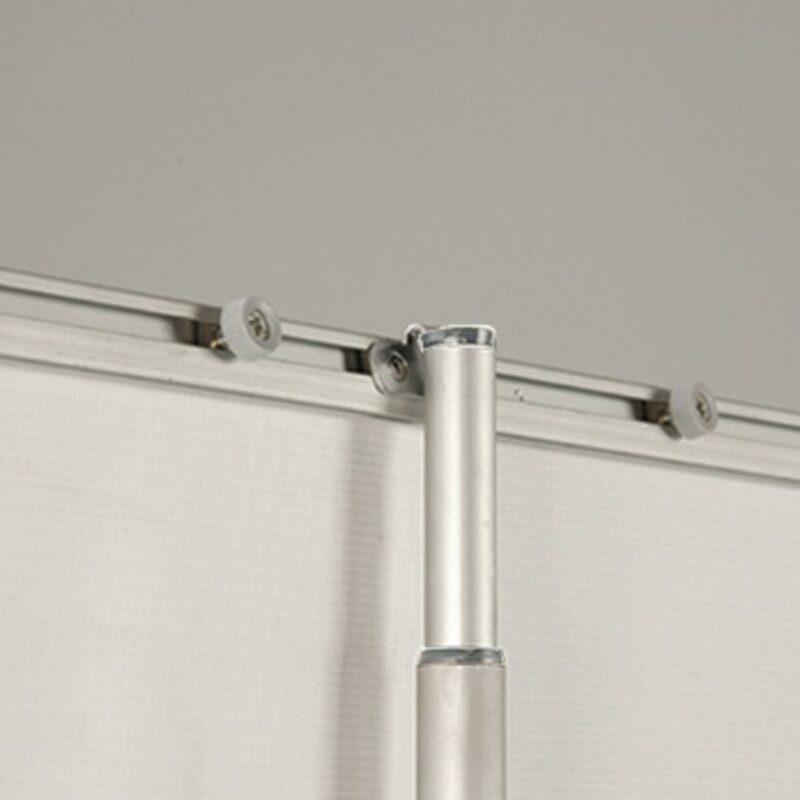 In addition, this banner features twist-out feet that enhance stability even on slightly uneven ground. Its sleek aluminium-finished base enhances the graphic's look without competing with its colour scheme. 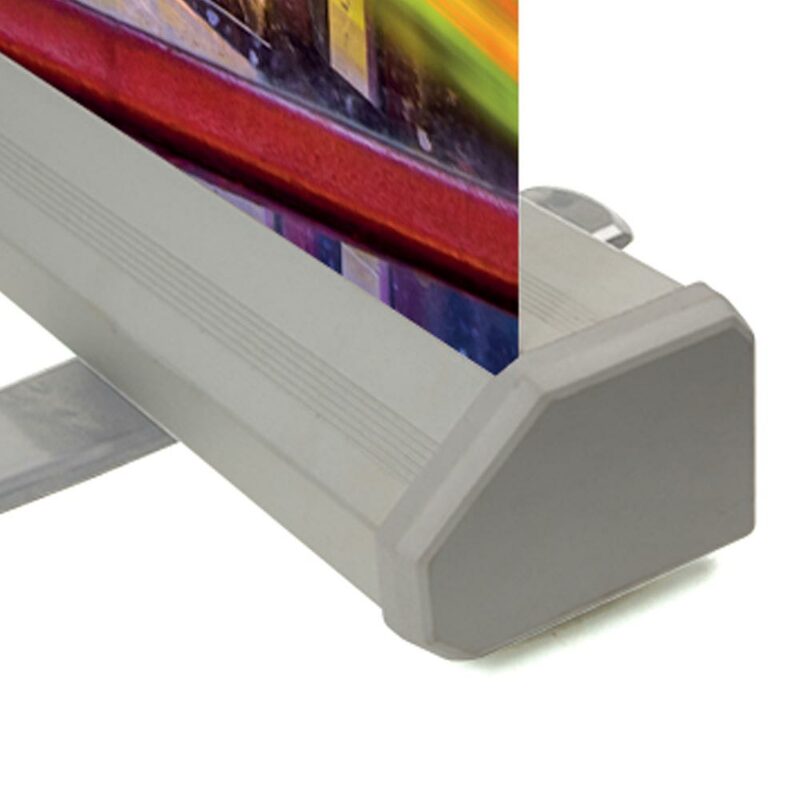 The Piccadilly Roller Banner conveniently comes with its snap clip rail, retaining screws, and carrying bag.